We are a global company of innovators and entrepreneurs that create, build, and operate companies at the intersection of hardware and connected technologies. We invest in our core competencies and support our partners to deliver unique and powerful technology solutions to the market. Our mission, vision, and principles are the foundation of all that we do, driving innovation and execution. To create innovative solutions at the intersection of hardware and connected technologies that change the world. Create, build, and operate companies around our core compentencies, which empower consumers and enable businesses to thrive in a connected world. We fully commit to our customers and partners, seeking to earn their trust and perspectives to provide phenomenal products and services. We recognize exceptional talent and invest in the development of our employees, allowing them the ability to grow and make future innovation happen. Always curious about what is over the horizon, how and why things work and take action in continuous learning, striving to be better. Honesty & integrity are at the heart of everything we do. We take ownership for our actions and the overall betterment of the company and its stakeholders. No one ever says "that's not my job." We make fast and informed decisions and move quickly, focusing our energy on moving the needle and taking steps immediately to acheiving business outcomes. We play the long game, building and making decisions with an intent to continue to hold and grow without an exit strategy. We are entreprenuers, engineers, innovators & operators. Our core team is dedicated to creating products and services at the intersection of hardware and connected technologies. We are experienced and highly passionate about starting, building and operating companies and partnerships with industry leaders to provide the world with powerful and innovative solutions. Avi is the President of Aritronix, which he founded in 1989. 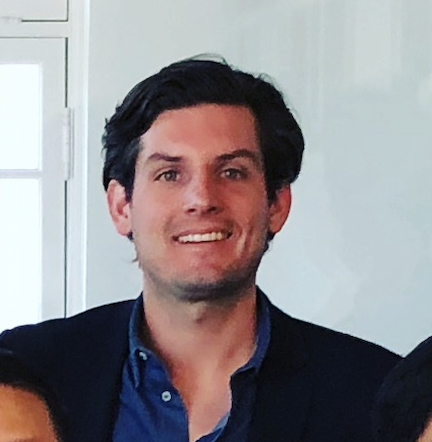 His vision is to create meaningful products and services that add value to businesses and consumers, mainly at the intersection of hardware and connected technologies. He has a 30 year track record of innovating, manufacturing and commercializing hardware and connected technology solutions, some of which are adopted by fortune 500 companies. 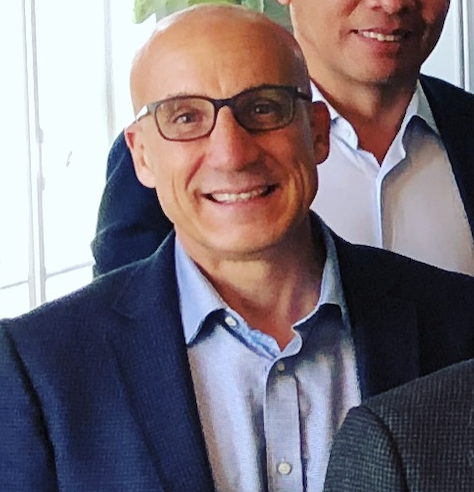 Christopher Lopez is Vice President at Aritronix, where he leads business development efforts and Aritronix's subsidiary company Clearsight, the leading global solutions provider for end-to-end, enterprise Internet of Things (IoT) solutions. His professional career includes leading strategy, corporate development and operations for high growth tech companies. Most recently he led operations for Nextiva, an enterprise SaaS company that supports more than 150,000 customers. Christopher earned an MBA from Thunderbird School of Global Management and attended Peking University in Beijing, China. Aritronix OEM Services produces Original Engineering and Parts and Accessories for large OEM automotive manufacturers. For two decades, Aritronix has been a Tier 1 supplier to motorcycle and powersports OEMs. Clearsight is the global leader in providing end-to-end, enterprise IoT solutions for partners and enterprises. Clearsight's adaptive, vertically integrated, enterprise IoT platform empowers businesses to rapidly deploy and change applications to meet their business needs. From concept to distribution, we will help transform your business. Clearsight's team of IoT experts designs, engineers and manufactures IoT hardware, connectectivty, and platforms at a global scale. RLINK is the world's first platform for motorcyle riders to both protect and enhance their riding experience. The RLINK system is cellular- and GPS-enabled smart device that syncs with the REVER app, the world's largest online community of motorcycle enthusiasts, at over 1 million and growing. More than a GPS tracker, the RLINK system provides real-time security notifications, always on surveillance, auto-tracking, bike diagnostics, family share, and more, all accessible and controlled from your smartphone. Scorpio is the longest running solution for motorcycle security, offering the most advanced motorcycle protection available to the market. Our objective has remained the same; innovate and provide smart security that is easy for motorcycle riders, and tough on thieves. Not only are we riders ourselves, our expertise is built on over twenty years of experience in the industry, as well as listening to the voice of our consumers to continiously improve our products. Google Cloud Platform (GCP) is a suite of cloud computing services that runs on the same infrastructure that Google uses internally for its end-user products. GCP consists of a set of physical assets, such as computers and hard disk drives, and virtual resources, such as virtual machines (VMs), that are contained in Google's data centers around the globe. Amazon Web Services (AWS) is a subsidiary of Amazon that provides on-demand cloud computing platforms and infrastructure. AWS manages and maintains server farms throughout the world. Aritronix is a global company of innovators and entrepreneurs that builds and partners with companies to provide solutions at the intersection of connected technologies and hardware. Aritronix and its companies partner with industry leaders to bring solutions at the intersection of hardware and connected technologies to market. As part of our guiding prinicples, we focus on creating, building, and operating companies that are within our core competencies of hardware and connected technology developement, deployment, and maintenance. When evaluating a new opportunity, we also must believe that we can add an extraordinary amount of value with our expertise. For over a decade, Aritronix has designed, engineered and developed connected technology solutions for industry leading companies; including companies in the Fortune 500. Aritronix has extensive experience in developing proprietary enterprise-grade Internet of Things (IoT) industrial and consumer platforms and applications. Aritronix is partnered with Google and Amazon Web Services, which support its companies and solutions around the world. Aritronix has over 30 years of experience in designing, engineering and manufacturing connected technology hardware. For over two decades, Aritronix OEM Services, a subsidiary of Aritronix has designed, engineered and manufactured orignial engineering products and parts and accessories for large OEM automotive and powersports manufacturers.